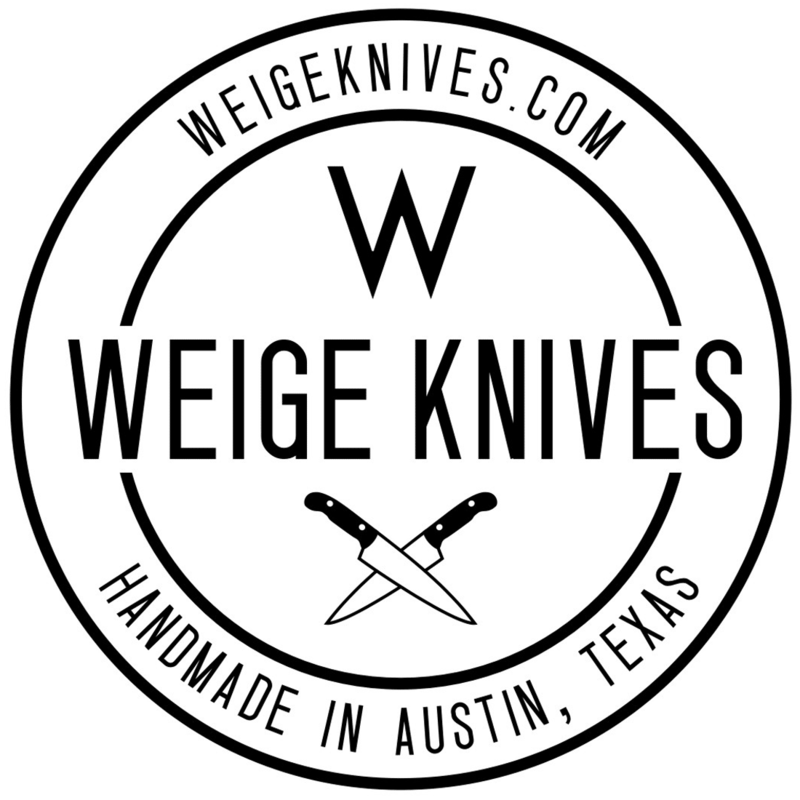 Home/Donations, Events/Weige Knives donates knives to home town. We were contacted by Clayton Penix in my hometown of Gun Barrel City, TX when someone he knew had their home destroyed by a fire. 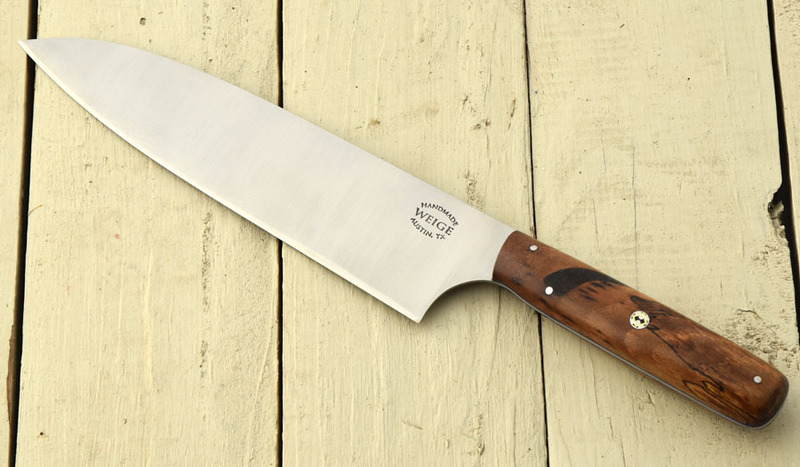 He asked for a knife donation to help raise money at a fundraiser they were holding. I don’t know the person affected, nor Clayton and haven’t been to Gun Barrel in over a decade, but I decided to build a special set to help out. I built an indoor / outdoor set in my old high school colors (black and green). The handle is African blackwood w/ a green kirinite stripe / faux bolster. White G10 liner w/ handmade green and brass pins. A truly custom knife set. 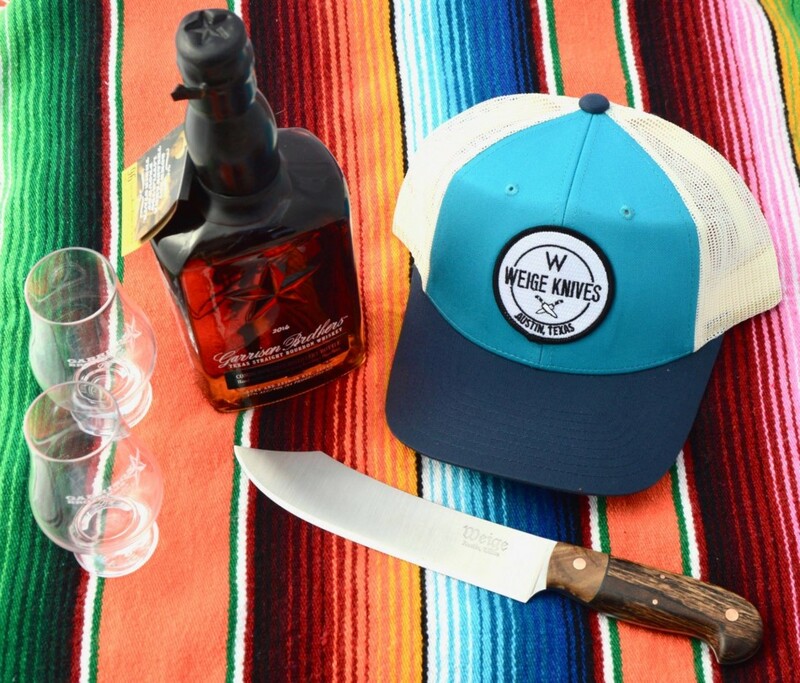 The custom chef knife has a 6″ blade in 440c and the custom hunting knife is our special rhino design w/ a 4.5″ blade. 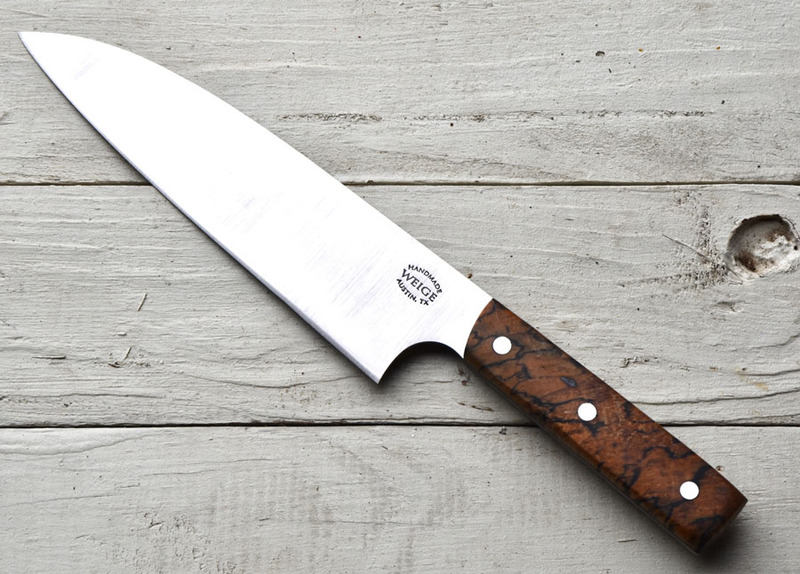 We put our German font makers mark on these blades to signify the knives were designed and built as a one off project. 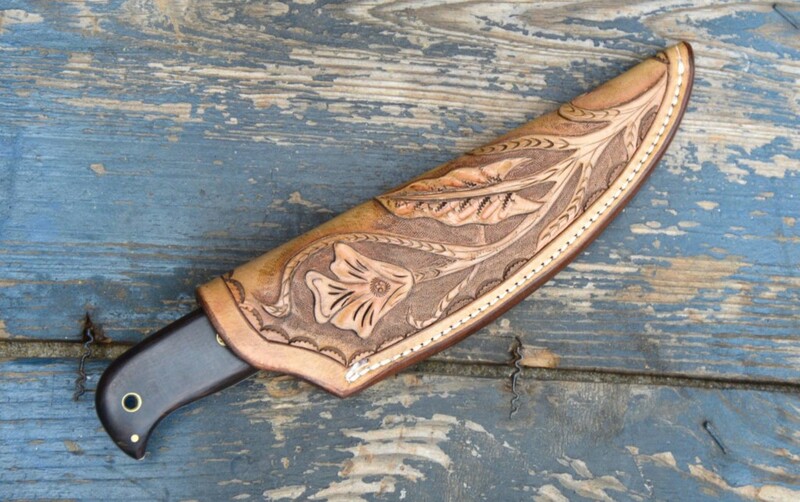 Brownlow Leather here in Austin, TX heard about the project and offered to make a custom sheath for the custom hunting knife. Brownlow does amazing work and went all out on this project w/ custom hand tooling. 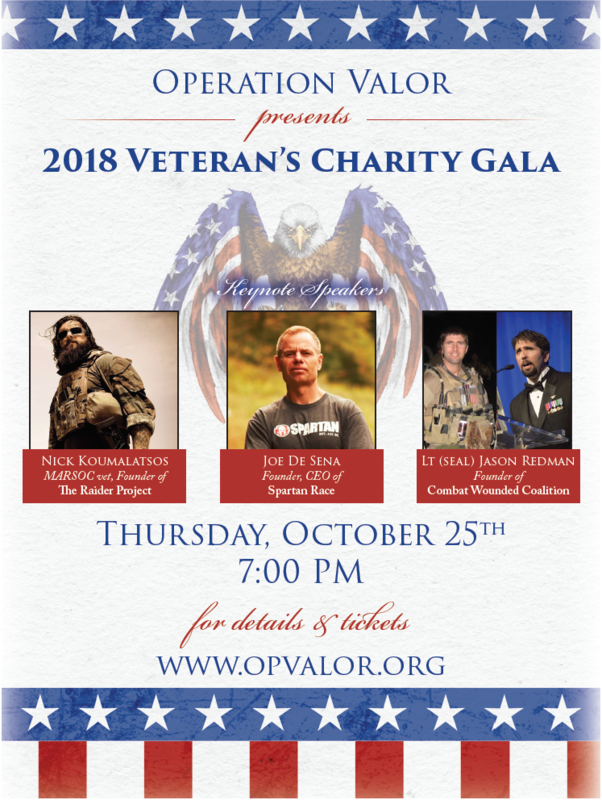 We’re very thankful for their work and generosity. The event is now over and we heard they raised over $4300 for the Taylor family. It’s wonderful to see a community come together and help one other out. 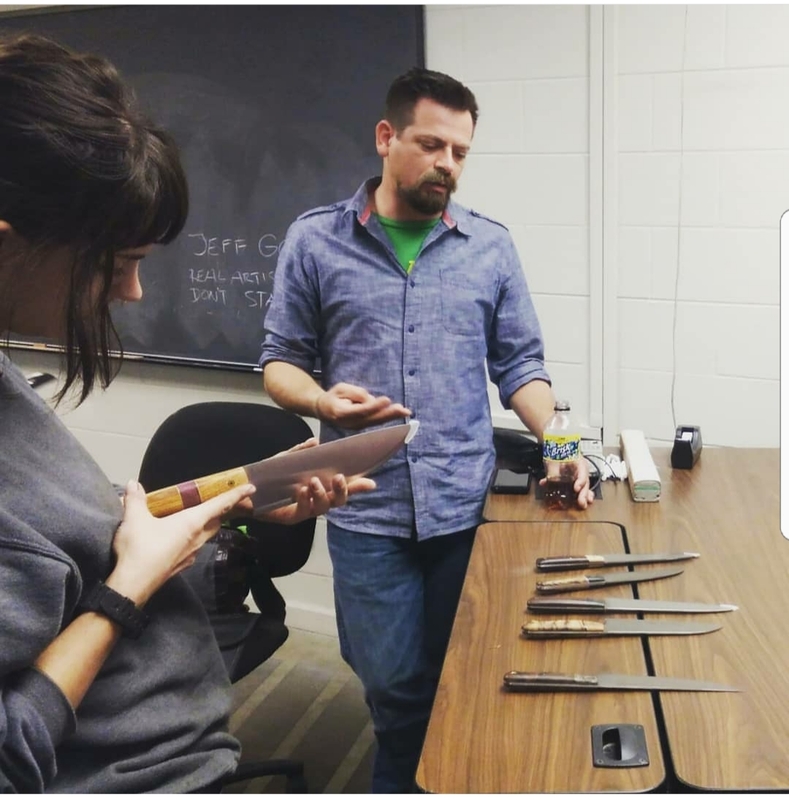 We are happy to be in a position that we can donate knives to a great cause. Moreover, we don’t live in the Cedar Creek lake area and know little about what goes on in the community, but are happy to bridge the back home connection by helping those who are helping friends and family.